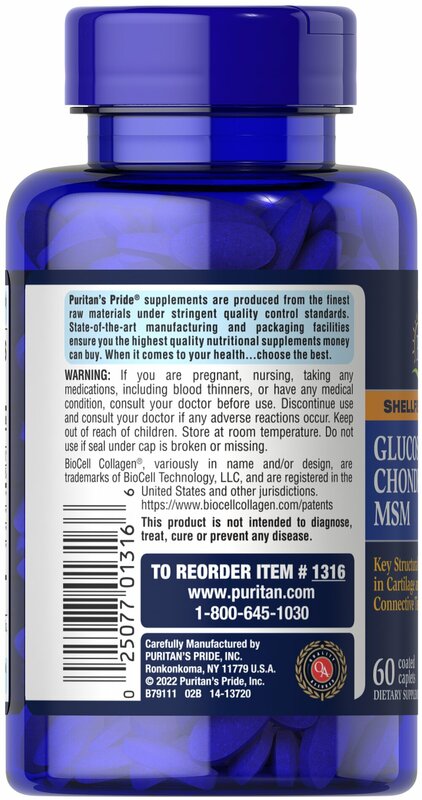 Glucosamine and Chondroitin help provide the building blocks for cartilage. 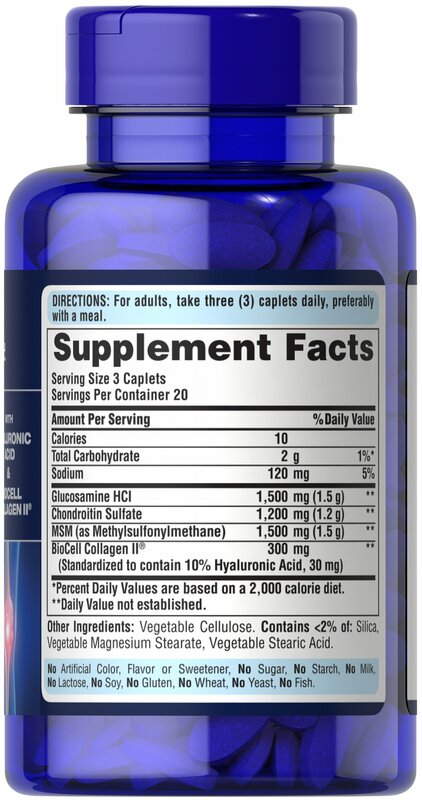 ** Healthy cartilage helps promote mobility, range of motion and flexibility. ** This comprehensive formula is specially designed to help ease occasional joint stress due to exercise or physical activity. MSM (Methylsulfonylmethane) provides a source of sulfur. Sulfur is a mineral that helps support healthy collagen, connective tissue, joint cartilage and joint mobility. 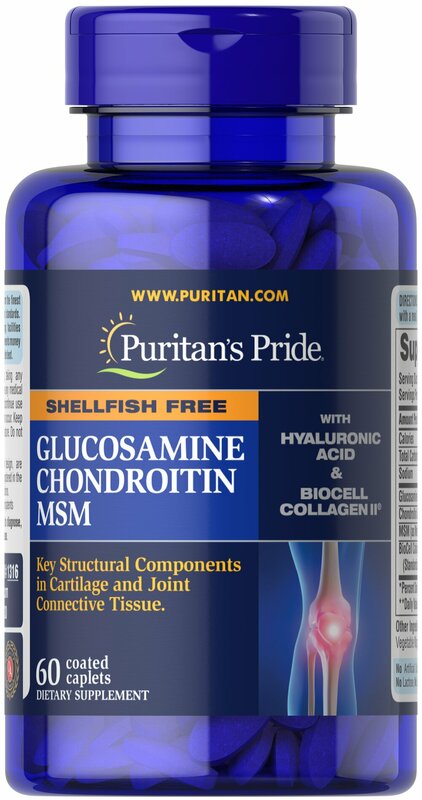 ** MSM works synergistically to help support the benefits of glucosamine and chondroitin. ** This formulation also provides Hyaluronic Acid and Collagen II®. Individual results may vary. Includes 60 coated caplets.